For some very good reasons, many people are quite excited about last week's RHEL6 release. A friend and mentor of mine, Tim Burke, gives a technical introduction to some RHEL6's features in the video here. Myself being an Ubuntu Core Developer on the Ubuntu Server, I thought it prudent to take an honest look at RHEL6, and capture a few new notes here, complimenting Red Hat on their new release, noting some differences between Ubuntu and RHEL, and perhaps inspiring a few lessons we could learn in Ubuntu. 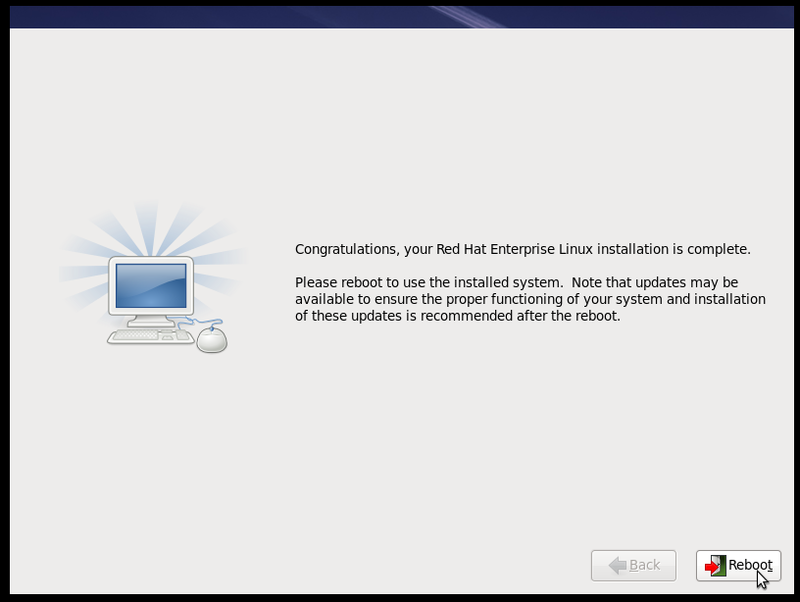 Several years have past since I last downloaded a RHEL ISO (I do check out Fedora from time to time). I was somewhat surprised that I had to register for an account at RedHat.com to download the image. I was also surprised the credentials I use to log bugs at bugzilla.redhat.com and other RH/Fedora sites were not accepted. Apparently, these identities are not yet federated into an SSO. To create this account, I had to accept Red Hat's legal statement, terms and conditions, and their export control policy documents. Once I had my account, I was ready to download. At this point I realized that I actually wanted to save the ISO to a different machine, rather than my desktop. Since the ISO was behind an authentication wall, I wouldn't be able to use wget or rsync to pull it down to that command-line only system. Oh well. I'd have to just pull it to my desktop and then copy it over. I suppose that I have learned to take for granted Ubuntu's free download policy, making heavy use of local mirrors and convenient access through wget, curl, rsync, zsync, or torrent downloads of Ubuntu ISOs from anywhere, to anywhere. In any case, I now have a trial RHEL6 ISO in hand. I used Ubuntu's TestDrive to try installing RHEL6 in a handful of KVM virtual machines on my Thinkpad x201. Each guest had 4GB of RAM, 4 CPUs, and 6GB of disk. 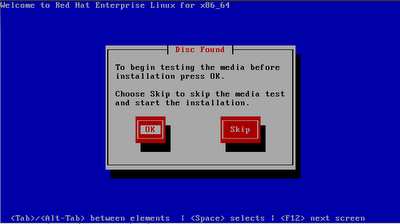 The installer starts with a graphical boot menu. And then drops to a text mode disc integrity check application. I accidentally chose to test the integrity of the ISO, which actually happened pretty quickly. After testing, the cursor landed back on the "test" button again, which I would have expected to have moved to "continue". 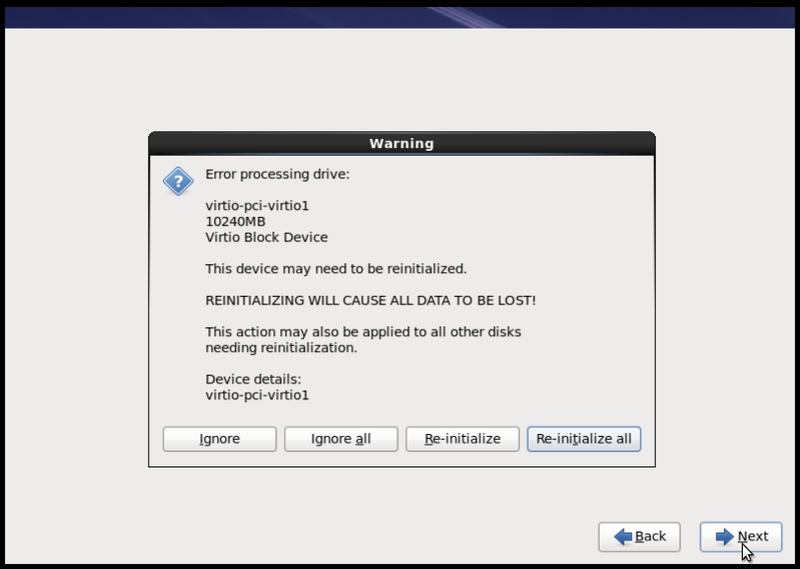 Then I tried to "continue", but evidently the ISO had been "ejected" and KVM couldn't find it anymore. So I started the installation over. This time, I skipped the disc integrity check altogether. The next stage of the installation is entirely graphical. This is in stark contrast to Ubuntu's text-only server installation. 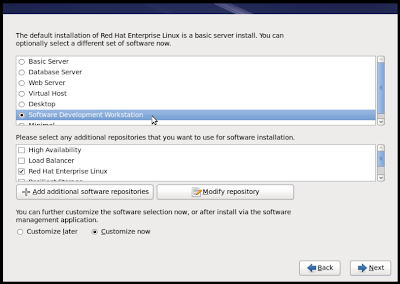 There's quite a bit more screen real estate in RHEL's graphical installer, which is used particularly well. 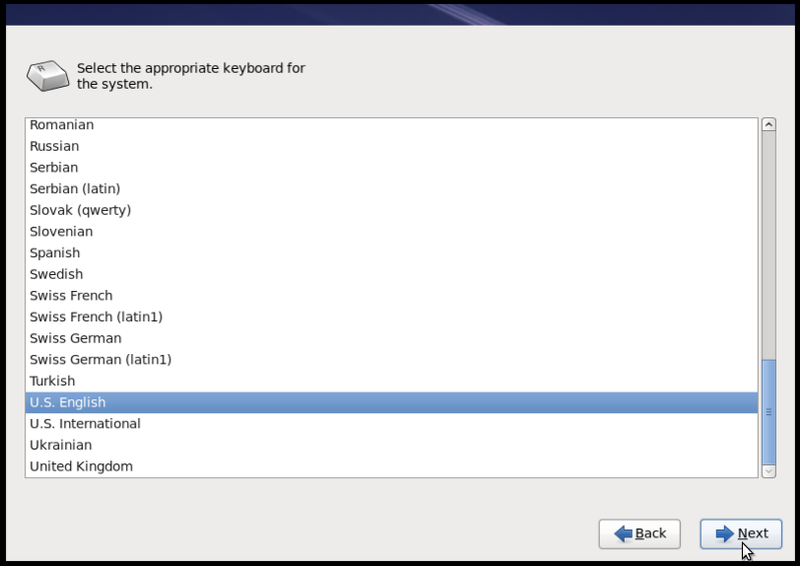 I chose my language and keyboard (mostly autodetected), much like Ubuntu. 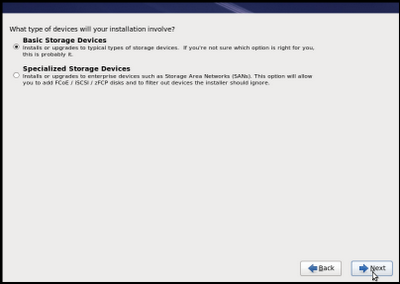 Then I chose between two different backing storage options, "basic" or and advanced selection for stuff like iSCSI. I chose "basic". 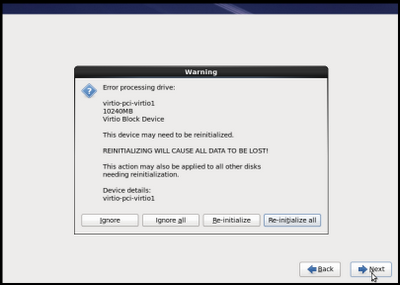 Next, I initialized my virtio backing disk, which was quite simple -- just one click. Then I set the host name. 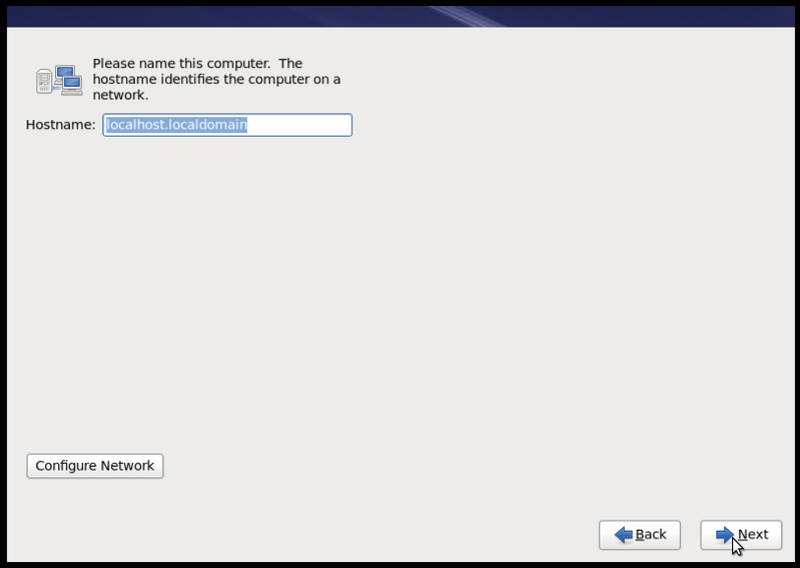 On this page, I had the option to configure a more advanced network configuration, but I just used the default. This seemed quite nicely done. 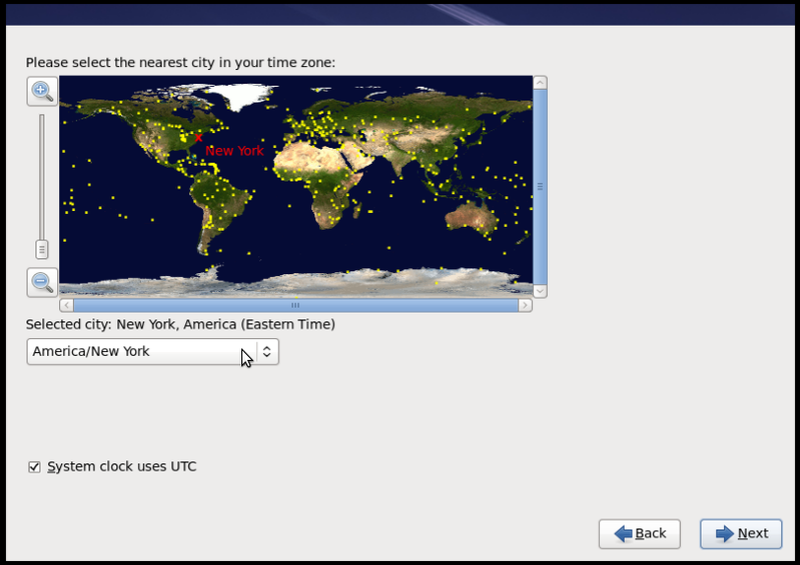 Next, I had to choose a timezone, where I landed in the painful, horrible, no good old timezone selector. It's damn near impossible to click on a city in the US Central timezone, and scrolling through the drop box of all cities is just ridiculous. 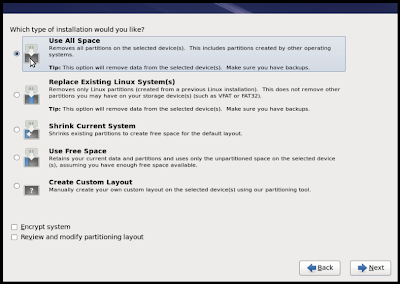 Ubuntu has made some incredible leaps and bounds forward on this subtle-yet-important aspect of almost any installer. 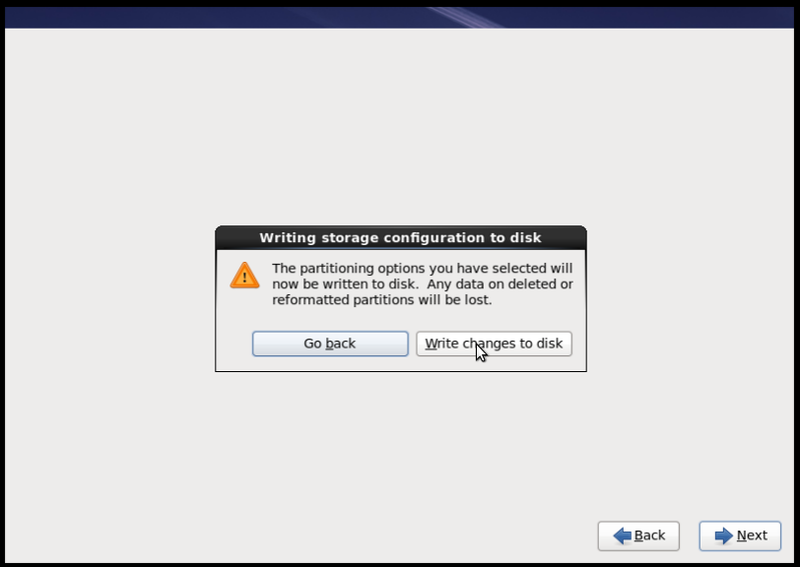 Next, I landed back in a partitioning menu. I say "back" because I had earlier answered a question about "initializing" disks, and now I'm being asked again about my disk layout. No matter. In my setup, I have a qcow2 backed virtio disk, so I just told the installer to wipe it completely and give me the default layout (LVM and such). 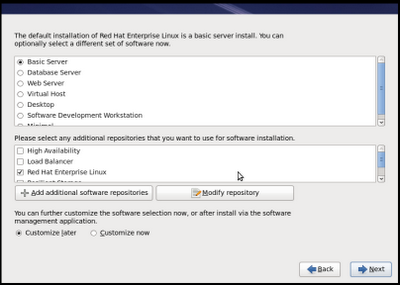 I really liked how simple this aspect of the RHEL installer is, as compared to the Ubuntu partitioning workflow. The installer very quickly formatted my disk with the ext4 filesystem. Next, I'm at basically a graphical equivalent of the Ubuntu Server's tasksel page. 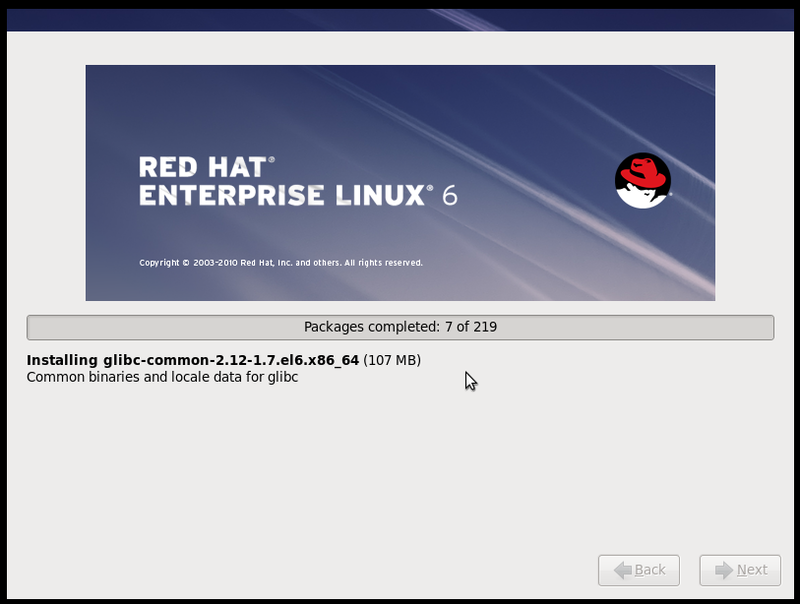 There are vastly more profiles and package sets available in this part of the RHEL installer than on the Ubuntu Server installer. This is due, in part at least, to the fact that the installation media is a 3.2GB DVD ISO, about 4.5 times the size of the Ubuntu Server's 700MB CD ISO. In any case, the breaking is fairly logical, though some of this hasn't changed since I first installed Red Hat from a CD in 1998. For my first installation, I simply selected the "basic server" profile, and didn't add any additional profiles, packages, repositories, or customizations at this time. The installation commenced installing 533 total packages, which took about 5 minutes. And the installation completed just after that. The installation completed and rebooted. I hit to take a look at grub, where I noticed that only a single kernel was installed. Ubuntu also installs a recovery mode kernel, and a memory test, which I rarely use but are nice to have. The plymouth and boot screens were very clean, minimal, and fast. Like Ubuntu, the boot process no longer scrolls the list of services being started. I rebooted, and removed "rhgb" and "quiet" from the kernel boot parameters and I got my nice, juicy, informative scrolling boot screens. I think saw most of what I would want to see if I had to debug a server with boot problems. This was quite nice. RHEL6's default server had a somewhat meaty 1.2GB initial disk usage, which contrasts with a default Ubuntu Server footprint that's about 700MB. That said, the default RHEL6 basic server includes 1MB of pure gold, the SSH server, by default. 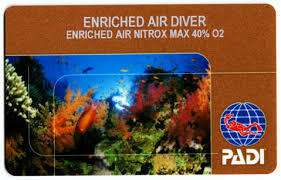 (See the ongoing discussion on ubuntu-devel@ about this one). RHEL6's default does not include a graphical desktop by default (like Ubuntu), though you can add it easily enough during installation. A few packages I expected to have were missing, such as GNU screen, so I tried to install it using yum. 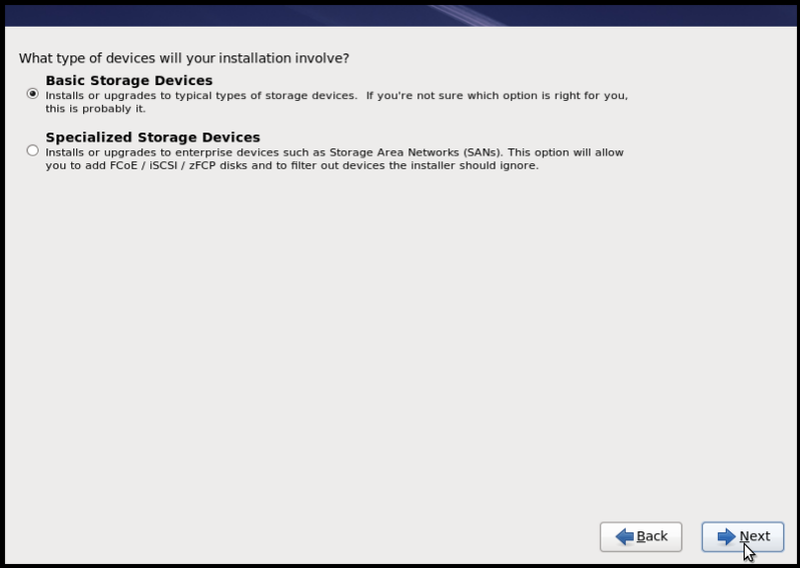 However, yum refused to add any additional packages since this installation is not registered with RHN. Bummer. I might have been able to dig around and add some free repositories, but I didn't. And I had no intention on registering with RHN, so yum would remain untested by me. Sorry. I played around a little more in userspace. The kernel is 2.6.32, which is the same base version as Ubuntu 10.04 LTS. I only have a root user, by default. I ran $(rpm -qa | sort) and pasted the default package list here. Strangely, I noticed that eth0 was not up and configured. I did skip the network configuration section of the installer, but I expected that the system would just be set to DHCP since it was unspecified. Well, I think I was wrong on that account. I had to run $(ifup eth0; dhclient eth0), and then I had a working network interface in my RHEL6 VM. At this point, I deleted this VM. 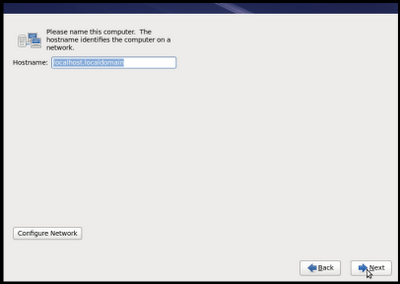 So I kicked off another installation, this time choosing the "customize now" option in the installer. Here, I found some really enterprisey looking options. Tasks like: a backup client, infiniband support, legacy unix support, mainframe access, scientific support, smartcard support, iscsi. There was also a bunch of other server profiles, like: web services, databases, management, virtualization, and desktop options (which included both Gnome and KDE). Each title had a 1-line sentence describing the option in the text field below. 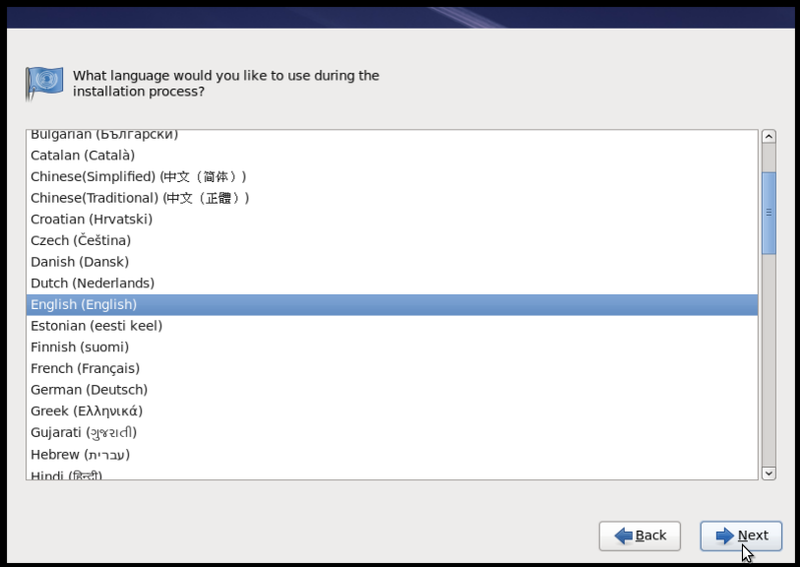 Selecting any of these would then enable another button which would show the suite of packages related to this option, each of which could selected or deselected. Ideally, I would have been able to see (and search) a complete package list right here. That's not quite how the interface works, though. 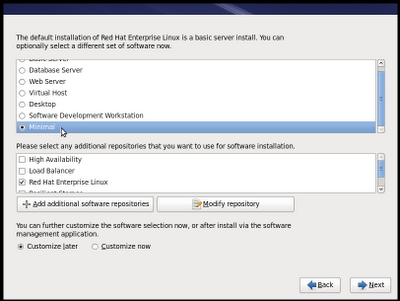 Still, for a new RHEL6 user, this is a really interesting introduction to the depth and breadth of the distribution. 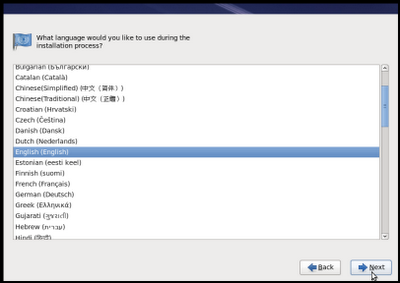 For this installation, I just selected the virtualization packages. Since I wasn't able to play with the virtualization host much (as I was already running in a VM, and couldn't find the qemu binary), I killed that installation and restarted, with the "minimal install". I was curious just how minimal this minimal would be. It installed a total of 219 packages, accounting for a 599M footprint. Not too bad, but I think I would expect something a bit smaller out of a minimal Linux image at this point. That's pretty much my only experiment with the minimal installation. Again, I would have liked to have used yum to add packages and build this minimal system up to something useful, but I didn't register with RHN. I killed this VM too. Finally, I performed one more installation, selecting the "software development workstation" profile. I launched each of these installations using TestDrive, which defaults to a 6GB backing disk image. Once I selected the workstation profile, though, the installer notified me that I didn't have enough disk space to perform this installation, so I killed the VM and upped my DISK_SIZE=10G in my ~/.testdriverc. This installation obviously took a lot longer, cranking through 1,451 packages and using several gigabytes of disk space. 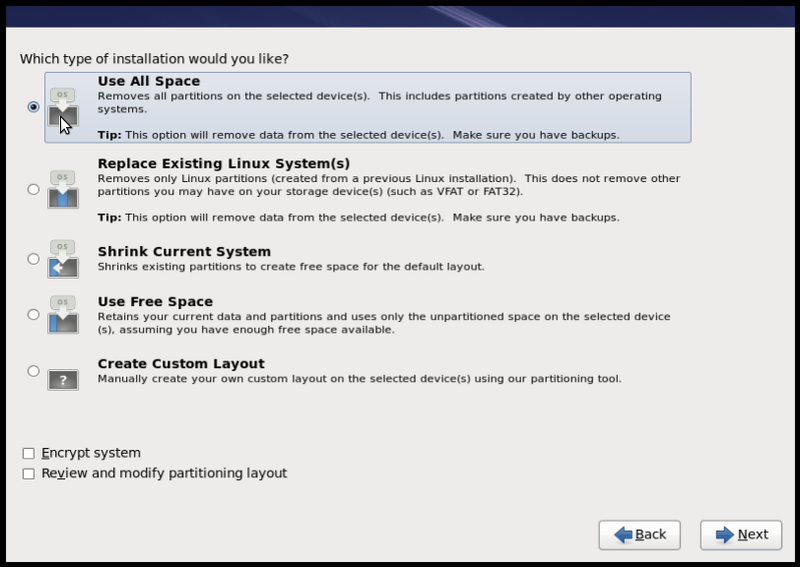 After the 1st stage completed installing all of these packages, the system rebooted, and launched directly in the graphical 2nd stage of the installation. 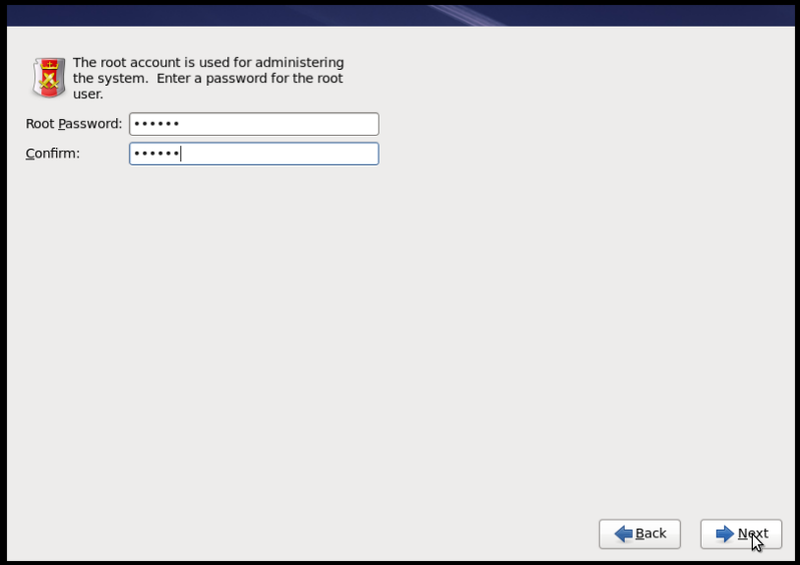 Here, I was prompted to enter my non-root user information (name, password, etc). I was also prompted for RHN credentials, which I politely declined. 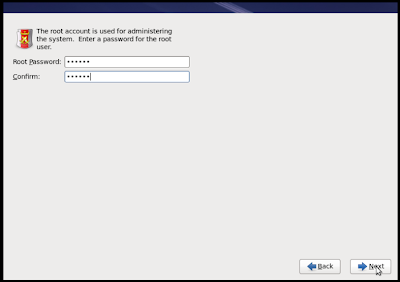 At this point, I landed in a gdm login window, where I was able to log in with my non-root user. 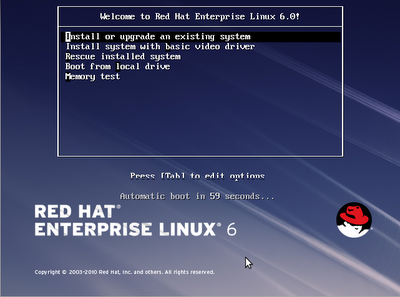 With that, I found myself in the very familiar Red Hat desktop (and felt just a tinge of nostalgia). The applications menu was thoroughly populated with development tools, such as Eclipse and friends. 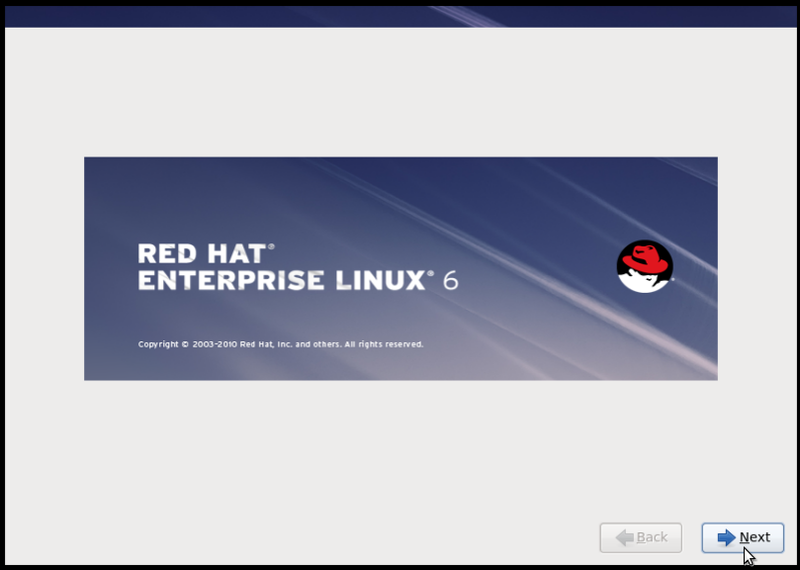 I really enjoyed the 4 or 5 hours I spent test-driving RHEL6. It's pretty important for us, as a Linux community, to be aware of what's going on in our ecosystem. I thought the graphical installer enabled a much smoother installation. The base install footprint seemed a little heavy, but I was impressed to see SSH enabled and running by default (and I wish and pray we could take this plunge in Ubuntu). On the other hand, I found the registration process for downloading the ISO and RHN enablement for repository access highly annoying. 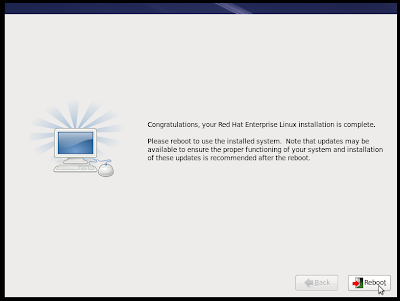 I've been around Red Hat systems for over 12 years, though not so much in the last 3 years. 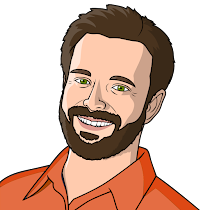 These guys (RH) are doing some phenomenal work on enterprise Linux, and they deserve quite a bit of praise on this front. Nice job. For my part, I'm going to continue working hard to ensure that Ubuntu 11.04, 11.10, and eventually 12.04 LTS evolve into outstanding enterprise Linux server distributions in their own rights. 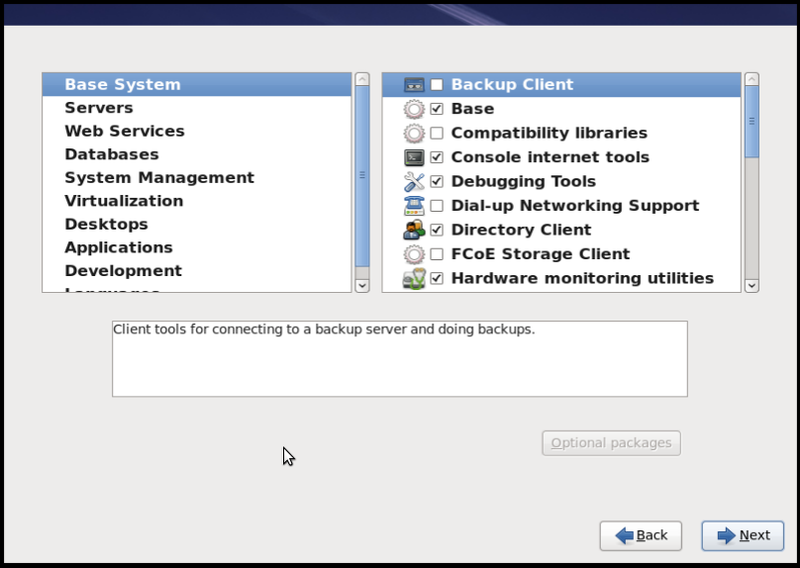 So CentOS has the best of both worlds? It has everything RHEL has, but is free to download and has no registration. One thing I've always loved about RHEL is (1) how easy it is to set up a sane LVM scheme compared to the Debian/Ubuntu installer and (2) chkconfig. The most painful thing about recent Ubuntu releases has been this split between upstart scripts and init scripts. 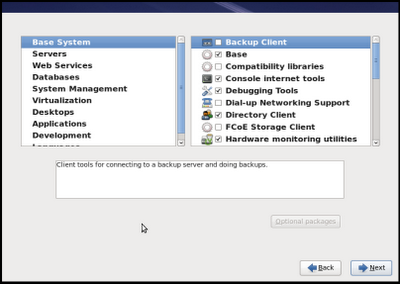 With 1 tool to control service configuration, it is easier to right sane policies and post-install checklists/scripts. 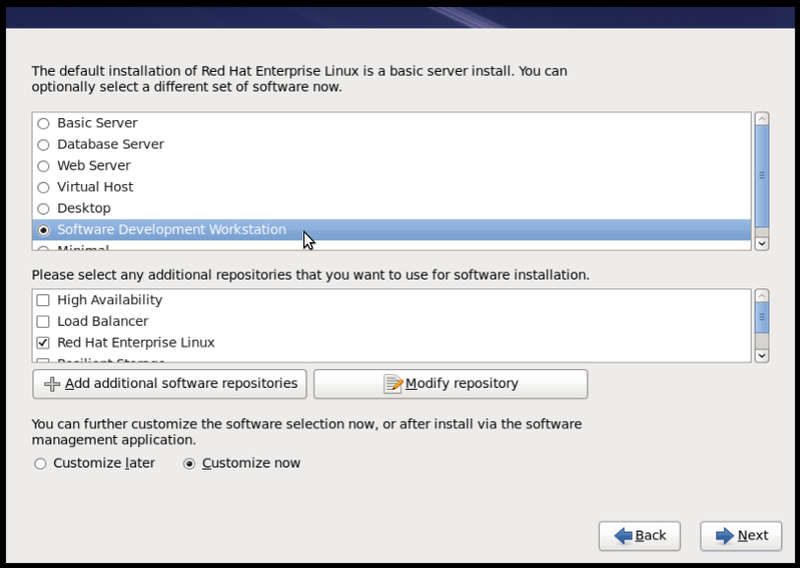 I also think RHEL6 is a very good release, kudos to the RH folk. RHN now uses a CDN (Akamai), so that's why your download was so quick. Thanks for this review, very insightful. You're missing a link where you're saying "pasted the default package list here:" though. So the most annoying part of the experience was the technical constraints imposed on you, a non paying support customer, with regard to access to software packages hosted on Red Hat's servers? 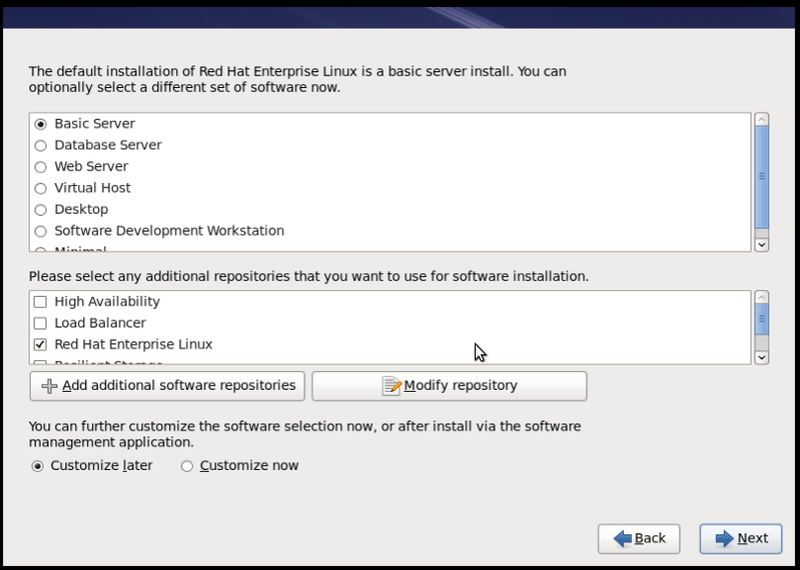 Another *great* feature of RHEL (and CentOS) which is really important for small enterprises it's the automatic and super-easy VNC support in the installation process. So if you don't have a full featured lights out card in your server you can tell someone in the datacenter to put the DVD in, boot in text mode, do a basic network configuration, enable the VNC server *in the installation* and you can remotely install in a graphic manner your server. Very neat. Right, CentOS will be an option at some point, but I don't see downloads for CentOS6 on the GA page, yet. I agree with you about chkconfig. I should take another look into that I ported the service(8) command over to Ubuntu a few years ago. I should look into fix/improving chkconfig in Ubuntu across upstart and init.d. Right, thanks. I figured I could do that somehow, thanks for the instructions. I'll use that if I need to explore the install any further. I think I'm done for now. Most annoying? Yeah, probably the download experience (ie, required registration), and the broken yum configuration (ie, required registration). The rest I saw are mostly just "differences", rather than annoyances. Linux is Linux, and I love Linux. Yes, VNC support is very nice. I used that quite a bit in the RHEL4 days. There's now a GTK d-i available in natty, and since it finally uses X (thanks to work by my colleagues on the upstream d-i team) it shouldn't break all the time the way the DirectFB version used to. I can't fit it onto the normal server CD due to all the cloud stuff, but it would be interesting to explore adding it to the DVD and having people interested in this polish it up. Wow, thanks for that info, Colin! If you do decide to try again and wish to evaluate yum then you could try adding the EPEL repositories.